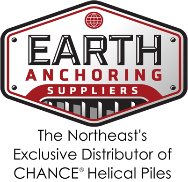 Earth Anchoring Suppliers (EAS) recently brought CHANCE executive, Phil Brackett, into the fold. Phil has had tremendous impact on the applications and growth of Helical Piles in the U.S. and Canada. He will be instrumental in all phases of operations, concentrating on client success and innovation across the greater Northeast. You’ve been on the forefront of the helical pile business with the CHANCE brand for 16+ years, why move to Earth Anchoring Suppliers now? What’s the most impactful issue(s) you see for helical pile suppliers and customers? What part of the helical pile category do you get the biggest ‘kick’ out of? If you could instantly change one thing about the helical pile business what would it be? “If you could time-travel back 16 years, what advice would you give yourself? 1. Never be dismissive of things you don’t fully understand. 2. If you want honest feedback make it “painless” for the other person to give… appreciate the effort the other guy is making. 3. Invest heavily in time travel technology… sixteen years just isn’t that long to wait.